Interested in participating in a Bible study? 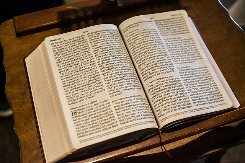 If you are interested in participating in a Bible study — day or evening, weekday or weekend, for a few weeks or a few months — please talk with Pastor Jody Beth and together we will prayerfully consider where God is leading us. 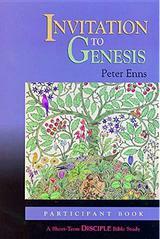 Sunday evening and Thursday morning Bible study groups began a weekly study on the book of Genesis on Oct. 4 and 7. Invitation to Genesis, a disciple Bible study, includes a DVD, a leader’s guide, and participant books. The study books are $15 and as always, scholarships are available. Please let facilitators Pastor Jody Beth and Philip Melton know if you will be able to be a part of this group; 251-213-6625 and 251-213-6505. Times are: Sundays, 5:30 to 6:15 p.m.; and Thursdays, 10 to 11:30 a.m. (11:15 on the first Thursday of each month so that participants may attend the “Two or More” fellowship lunch). Please share this information with other friends or congregations if you’d like.